“Wall” is a documentary. It’s a record of street art painted an a single wall located by a canal in the East End of London, not far from where I live. The project covers three years, from 2009 to August 2012, finishing during the 2012 Olympics. There’s also a gallery of many of the photographs in the book, which you can view here or, click here to view the book on Blurb (and buy it) in printer or e-book format. 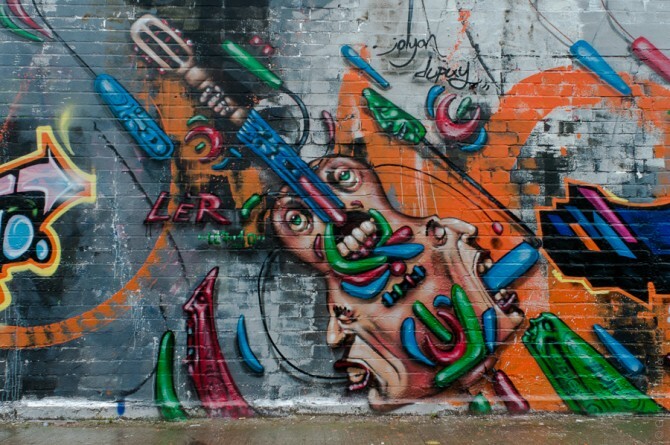 If you’re interested in reading more about the graffiti in London, I suggest you visit the excellent streetartlondon.co.uk. And, whilst I’ve got your attention, I’d like to thank Doug, Mark and Fiona for helping me with the copy, they’ve made it a much better book. UPDATE – I’ve redesigned the book in a larger format and I think it’s much improved. Read about it here.